In the weeks following the election, Republicans are assessing what went wrong that led to their defeat. Much to the criticism of some in the party, Governor Romney has hypothesized that President Obama won because of the “gifts” that he offered minorities. Others have speculated that the GOP was not able to effectively reach out to the changing demographics of America or that the party misinterpreted polls and got cocky. Others have pointed to poorly designed and implemented GOTV technology.Compared to the 2008 election, there is one reason for defeat that is conspicuously missing from the “Wednesday morning” political strategizing — blaming the GOP choice for vice president. Paul Ryan, of course, was not the reason for Mitt Romney’s defeat. His nomination provided a spark for many in the Republican party. He was an articulate voice for the GOP ticket and a seemingly good fit for a Romney campaign nearly singularly focused on the economy. He is an intelligent Congressman who has shown leadership in the House on the budget and making strong stances against Obamacare, particularly the IPAB—the unelected board of bureaucrats tasked with managing how Medicare pays. Ryan has served as a Congressman in Washington DC since 1999 and worked for House members for several years during the early and mid 1990s as well. However, despite his strong stance against the Obama administration’s profligate spending, he also supported the TARP bailout during the Bush administration and the auto bailout set in motion during the Bush administration. He has been a good Republican soldier in Washington D.C. for nearly twenty years, which made him ideal for Romney, especially as someone from the same state (a swing state too) as the current RNC chair. In 2008, Sarah Palin was quite the opposite in some respects. She was the governor of Alaska–about as far away from Washington D.C. as one can get. She had garnered a reputation for bucking her own party– calling out the Alaska GOP chair for doing party business on state time, taking on and defeating an incumbent governor in her own party, cleaning up the ethical mess caused by that incumbent she defeated, and even suing a GOP presidential administration to enable energy development in Alaska. During the campaign, she wanted to abandon the micromanaging of her handlers and speak on passion and principles rather than talking points. She was the embodiment of the feminist ideal–a great family, a successful career, not to mention a state basketball championship and the ability to shoot a moose and cook it up for dinner. This proved to be a perfect target for the media, the Democrats, and GOP Establishment to go after Governor Palin, not only for the blamecasting loss, but also the treatment and coverage throughout the campaign, which was much harsher than what was shown Paul Ryan. The Romney campaign was, of course, smart enough not to hire the likes of Steve Schmidt and Nicolle Wallace (unlike MSNBC and ABC), so the source of much of the redistribution of blame of the 2008 campaign was missing from the 2012 campaign. Ryan was not a threat to the GOP machine, because in many ways, he was already a part of it. There was no need for Romney campaign staffers, some of whom had trashed Governor Palin during the 2008 general election, to send out emails to coordinate a strategy to shield themselves from blame if they lost, as Steve Schmidt had done.So far during the 2012 election fallout, Romney advisers are blaming strategy and messaging, not directly their own candidates. For Governor Palin, it went beyond false claims surrounding policy and into false charges regarding her character– charges that she abused her power by pressuring a commissioner to fire a state trooper who once was Palin’s brother-in-law. State senator, Kim Elton launched a legislative inquiry into the matter, deeming it an “October surprise”(i.e. he intended it be political). During the inquiry process, the Obama camp even made contact with the troopers’ union of Governor Palin’s former brother-in-law.Ultimately, the politically motivated legislative inquiry found her as abusing power, while the personnel board, who were all appointed by Governor Murkowski, no friend of Governor Palin, exonerated her. Following President Obama’s election, Kim Elton was given a cushy job in President Obama’s Department of Interior. Elton had also allowed former chief of staff to then Senator Obama and once interim chief of staff to President Obama, Pete Rouse, to use Elton’s Alaskan address so that Rouse could vote in Alaska even after he hadn’t lived there for more than twenty years. Democrats sought to destroy her character, not solely mislead on her policy. During the campaign, Governor Palin was criticized for being held back from the press–a poor campaign move by operatives like Schmidt and Wallace. Prior to her becoming the VP pick, emails obtained by the Anchorage Daily News noted that she was to be a McCain surrogate across several networks, yet the campaign held her back when she was picked. When she did talk to media embeds, she was criticized for “going rogue”. Meanwhile, Paul Ryan only spoke to the traveling press corps four times during the campaign and never gave formal press availability. Ryan’s limited press interaction never became a major story, however, only the subject of a singular tweet from a member of the traveling press corps. Not only was Governor Palin more harshly covered by the media, her family was as well. Todd Palin’s voter registration became a huge news story when he inadvertently checked the box for the Alaska Independence Party (AIP) when he simply intended to note he was an independent (he later corrected this). However, Paul Ryan’s wife was not placed under the same intense scrutiny–despite the fact that she had been a congressional staffer and a corporate lobbyist in the past. During their respective campaigns, Governor Palin’s children was the mother of a four school aged (or younger) children and a son in the military while Congressman Ryan’s children were all under the age of 10. The young age of his three children and a busy campaign schedule were never a reason for faux concern from the media, as it was for Governor Palin. Not to mention how Bristol Palin was put under the spotlight by the media and the Left during her concurrent pregnancy. 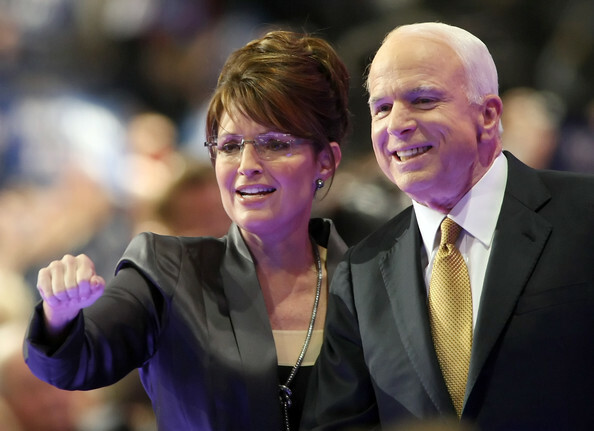 Despite claims made by McCain campaign staffers even prior to the campaign’s end, Governor Palin was not reason for the McCain-Palin ticket’s defeat. In fact, she helped the ticket. Among those who noted Palin’s presence on the GOP ticket affected their vote, 56% voted for McCain-Palin compared to 43% for Obama-Biden. 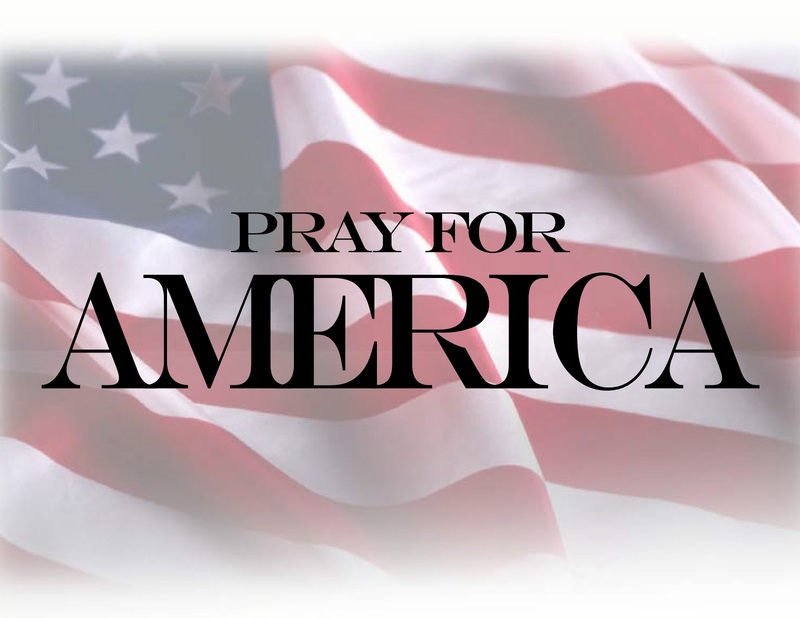 John McCain and Sarah Palin received 59,934, 814 votes while Mitt Romney and Paul Ryan received 59, 142,004 votes–a more than three quarters of a million vote difference in favor of McCain-Palin. This was despite the fact that the Romney campaign made more contacts with voters on a grassroots level than the McCain campaign. These vote differences are in no way an indictment of Paul Ryan’s candidacy, nor does an indictment lie in the context of solely a presidential campaign. The indictment lies with the GOP Establishment, Democrats, and the media who all seemed to have the same goal of destroying Governor Palin–a goal they haven’t achieved despite continued efforts. Revisiting the 2008 campaign is not an attempt to rehash the past, but to put it in greater perspective. This month’s election now provides an even bolder contrast to further reveal how much the media, the Democrats and even her own party wished to smear and discredited Governor Palin–and how much they continue to do so. During this election cycle, GOP Establishmentarian, Karl Rove disingenuously represented Palin’s effect on the ticket by saying McCain was leading prior to picking her as VP and he poo-pooed the effect of her endorsement as “not worth snot”. In the end, Rove’s endorsement successes were non-existent while Governor Palin had great success. The Democrats still reference Palin, in attempts to diminish her, but their reference to her only shows her influence and their fear. John Kerry referenced Governor Palin in his speech at the Democratic convention when discussing Mitt Romney’s policy on Russia. Obama campaign manager, Stephanie Cutter, referenced Palin in response to Rudy Guliani questioning Joe Biden’s mental capacity. This past week, the head of Obama’s SuperPAC and former deputy White House press secretary, Bill Burton took a shot at Palin in response to John McCain’s criticism of Susan Rice’s comments on the attack on the American consulate in Libya.She still remains a target for and a threat to both parties. A willingness to serve in the capacity of vice presidential nominee means that your record, your family, and your character will be put under a magnifying glass–as it should. With Governor Palin, however, the GOP establishment, Democrats, and the media used (and continue to use) the magnifying glass the same way a mean kid uses it to direct sun’s rays to an ant hill–to destroy. A magnifying glass can be revealing for objects on either side of it though, and thankfully, Governor Palin has used the magnifying glass to further reveal the corrupt nature of the very people who seek to destroy her.